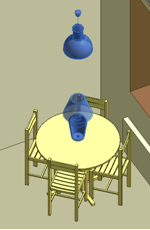 Insert Elements instantly distributes any number of objects throughout a BIM model at logically defined positions: from furniture and light fixtures to mechanical equipment and structural connections. The database of rules is customizable, and a handy dialog of project elements has drag-and-drop function enabled. Compatible with Autodesk® Revit®, Revit® Architecture, Revit® Structure, Revit® MEP, Building Design Suite. Insert Elements solution enables time saving element insertion into predefined project locations function instantly inserts hundreds of building objects by predefined rules into a project. Rule based insertion of elements. 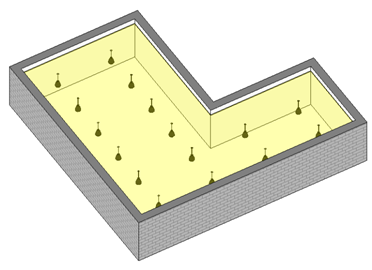 A database of insert element rules can be easily extended upon request by Autodesk Revit users. The feature "Project Family Browser" allows you to see all available project elements in a convenient dialog, and "Drag and drop" functionality allows you to easily place family elements into the Revit project. Speed. Enables instant insertion of hundreds of elements into your Revit model. Increased Productivity and Cost Savings. Revit users will save hundreds of hours per project using Insert Elements automation of routine functions and through early identification of design errors. Error Prevention and Easy Control Process.